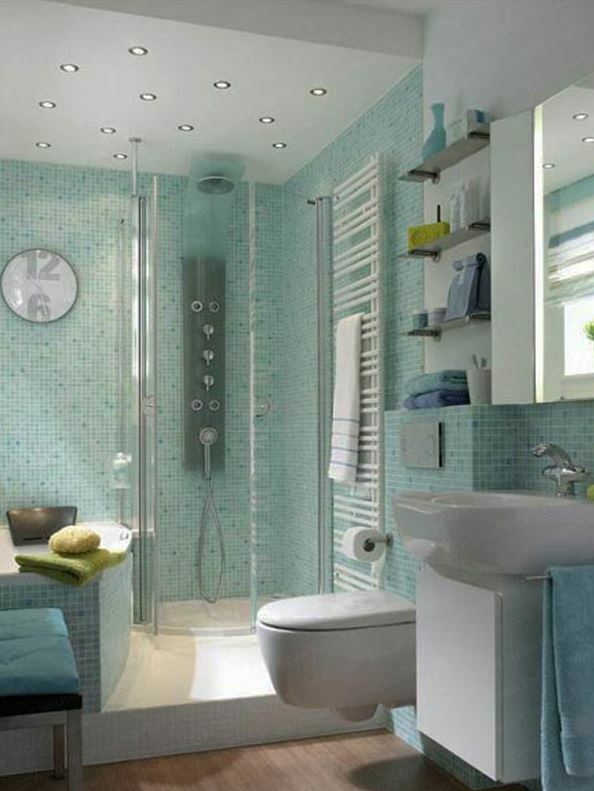 Feeling cramped as you walk in to your petite-sized bathroom? Whether it’s an issue of overcrowding in the small space or you just aren’t sure how to make it more functional and aesthetically appealing, Innovate Building Solutions has some tips that can help! Make small spaces look and feel larger by using the age-old trick that won’t put a large dent in your budget—add mirrors. Not only will they reflect images, but will also reflect natural light and color. Use trendy frames or multiple mirrored tiles for a bolder look. Mix things up by playing with a variety of neutral color palettes on the walls, in backsplash, and shower tiles. Lighter, warmer colors meld together easily while brightening up the room and also set the stage for making any colorful décor really pop! Keep sight lines sleek and clean. 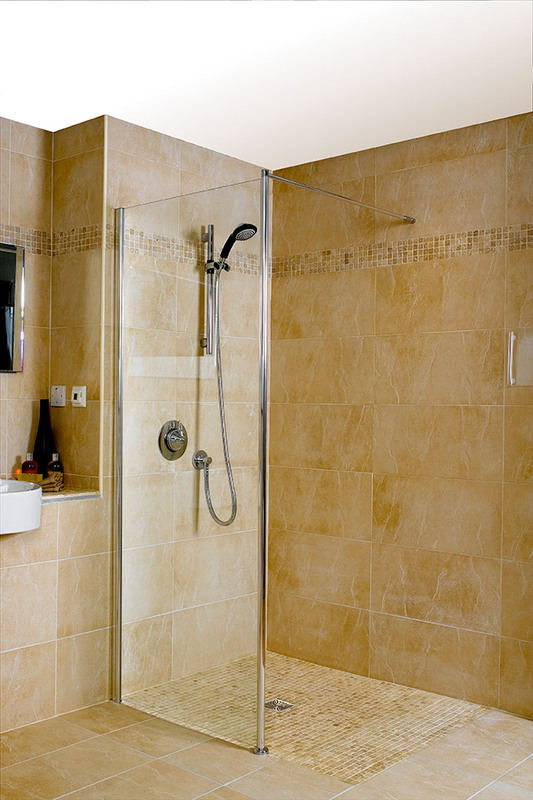 One option for opening up a room is to transform it into a wet room, which works especially well even in smaller bathrooms. Wet rooms are both inviting and unifying, allowing freedom to move with ease regardless of physical mobility due to their barrier-free thresholds. (They work in spaces as small as 5-by-7 feet!) Wet rooms can be installed professionally or as a DIY project by purchasing a waterproofing wet room kit, like the ones from Innovate Building Solutions. Take advantage of your windows! While many homeowners opt to cover the bathroom window with window treatments for privacy reasons, this is a missed opportunity to add natural light to your space, which can have a calming, relaxing effect and is proven to boost serotonin levels in the brain. An alternative is to install Innovate Building Solutions’ glass block windows which come in frosted, colored or patterned designs and will help you in capitalizing on some of nature’s best medicine—sunlight. Add contrast for a dramatic impact. Play off the earth tones and neutral hues of the surrounding walls by pairing them with dark, rich wood vanities or other bold accents. 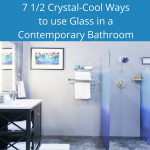 For more tips on how you can freshen up your outdated or less-than-lovely small bathroom, be sure to check out the Innovate Building Solutions blog and follow us on Facebook, Pinterest and Houzz! Want to know more about Innovate Building Solutions? Contact us nationwide at 877-668-5888 to learn more about our products and how we can help in your next project. You can also contact our Bath Doctor branches in Cleveland and Columbus, Ohio at 216-531-6085 or 614-252-7294, respectively.